Following SOPA’s recent protest, a new legal measure is now frightening the web world: the Anti-counterfeiting Trade Agreement (ACTA). Last month, 22 of EU member states decided to sign the bill. As a result, a widespread protest began with hacked Web sites and legislators backing away from the treaty. The ACTA is an international agreement which allows the ability to establish standards for intellectual property rights enforcement. It directly targets copyright infringement on the internet and would create a new governing world organizations to monitor the online contents. If imposed, the treaty could have severe effects on feedom of expression and digital rights. To add further, the involved censoring authorities would also be able to constrain to considerable penalties including imprisonment. The whole process which led to the signature of this agreement: no consultation of the civil society, lack of transparency since the beginning of negotiations, repeated delays of the signature of the text without any explanation given, reject of Parliament’s recommendations as given in several resolutions of our assembly. 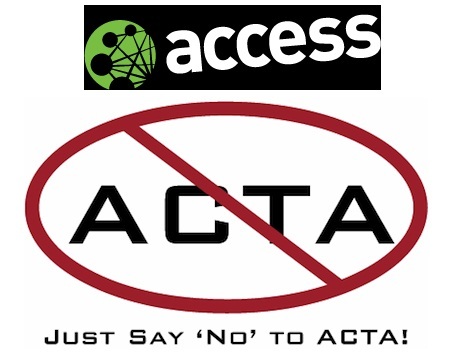 On 19 January 2012, Poland revealed its agreement to sign the ACTA. Follow up on that, government’s websites were shut down by cyber attacks, and several polish social sites also closed their services. On 25 January 2012, around 20.000 people demonstrated in all country. A poll on 27 January indicated that 64% of Poles are opposed to the agreement’s signing. Following to a January 31th statement of the Slovenian ambassador to Japan, estimated 3000 people protested at Congress Square (Ljubljana). The Ljubljanska Banka was also taken offline by online activists. 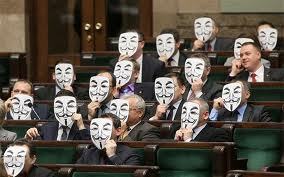 On 4 February, 1.000 Swedish demonstrated against ACTA. An organization called Access says it is a “new global movement for digital freedom”. 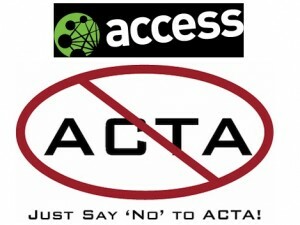 It also helps to mobilise people to join an international day against ACTA on February 11. Anti-Counterfeiting Trade Agreement stands as a big threat for online freedom and privacy. Every day, more and more countries sign the treaty. If you feel concern about ACTA, here is one of the best way to protect your online privacy and anonymity, in order to bypass ACTA’s restrictions. The VPN helps you to bypass all countries restrictions by generating a secured tunnel for your internet connection. It prevents you to be identified by your ISP or any organization. It also allows you to switch your IP and to appear anonymous. Choose a provider, by sorting out them within the IP server location (the closest you choose, the fastest speed you will benefit), the VPN protocols (OpenVPN ensures better privacy means than PPTP). Using a VPN allows you to restore your online freedom. It ensures your privacy, your anonymity, to enjoy a stress free browsing. Otherwise, changing your IP also enable to browse on geoblocked entertainment websites such as Hulu, Netflix and Pandora. Thus you will be able to access to streamed content. ← Watch Sky Player outside UK – How to unblock Sky Player with a VPN?